Local telephone service has been provided in Hartington since 1905. As Hartelco provides service into the future, we have re-dedicated ourselves to provide the best in local telephone service to our community. 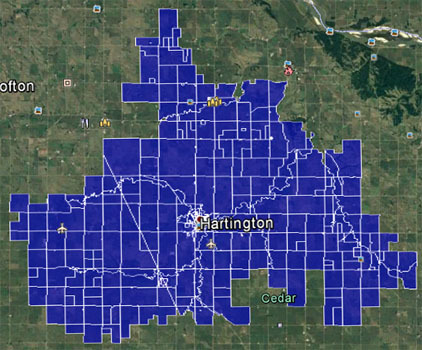 We offer fiber optic local phone service to 1,250 customers in Hartington’s and Bow Valley’s service area. PDF listing of all Hartelco calling features. Experience Quality Service with Your Local Computer and Technology Headquarters Contact Hartelco! ©2017— All Rights Reserved. Hartelco® is the registered trademark of Hartington Telecommunications, Inc.
Other product and company names mentioned on the site may be trademarks of those respective owners. All materials are provided for noncommercial personal use only.